Inventory We are a resale marketplace, not a box office or venue. Ticket prices may exceed face value. This site is not owned by Durham Performing Arts Center . 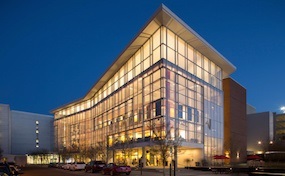 The Durham Performing Arts Center opened November 30, 2008 on 123 Vivian Street in downtown Durham, North Carolina. The Theater is commonly referred to as the DPAC. The Durham PAC has recently been listed in the top 50 Top Worldwide Theater Venues in Pollstar magazine. The Durham Performing Arts Center Box Office has been host to a variety of big acts like Bill Cosby, Robin Williams, Harry Connick Jr., Steely Dan, Leonard Cohen and more. The DPAC Durham is the premier spot in the Raleigh, North Carolina metro area to attend some traveling Broadway shows like Wicked, Mamma Mia!, The Phantom of the Opera, Lion King, etc. DurhamTheater.com is a privately held company that specializes in all events in the secondary ticket market. We are not affiliated with any primary box office, official website and or seller. Ticket Prices on all our sites may be well above or below face value and will change quickly with demand. You can purchase tickets anytime on our website by simply clicking on the Durham Performing Arts Center events you would like to attend. Operators are standing by if you would like assistance on the phone.